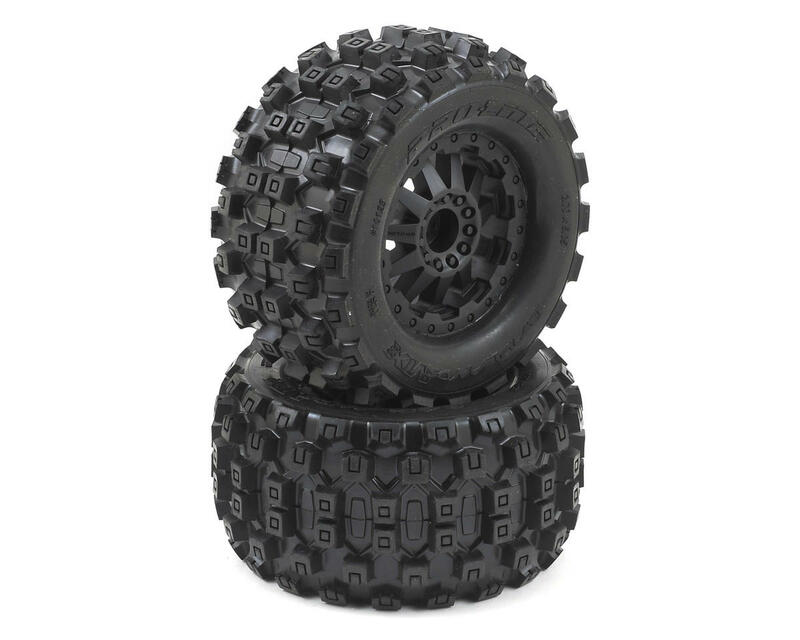 Pro-Line Badlands MX28 2.8" Tires have a sweet Motocross inspired big and bold knobby tread that matches modern MX tire design. The Badlands MX28 is a true All-Terrain tire that will find traction on any surface but is best suited for loose & loamy dirt, mud or grass. Compared to the previous Pro-Line Badlands tires, you can expect even better traction, improved wear resistance and enhanced style. The Badlands MX28 2.8” comes Pre-Mounted on F-11 2.8” (Traxxas® Style Bead) Black Wheels for the Electric Stampede®/Rustler® Rear. The F-11 style wheel brings the tough and rugged look of full-size trucks. The satin black finish of this super durable wheel will make your truck stand out from the rest. The wheel features a molded-in bead-loc ring and lug nuts, 11 triangulated spokes and a scale P-L logo. 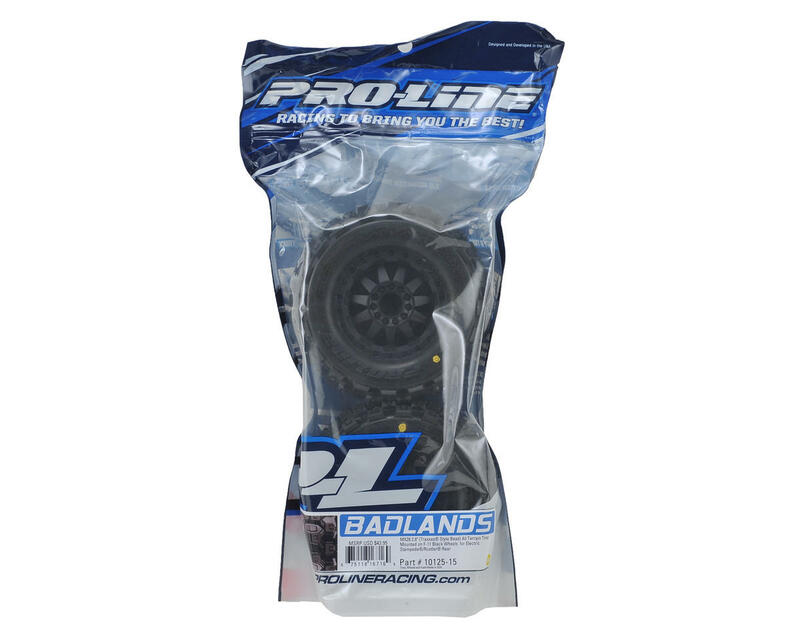 Pro-Line is making it easier than ever to get outside by offering the Badlands MX28 2.8” Pre-Mounted for your convenience!